As mentioned last week, Grant is on hiatus as he’s completing his spring term, and getting ready to start summer break. So, this gave me the opportunity to throw out some of the big summer films I’m looking forward to. 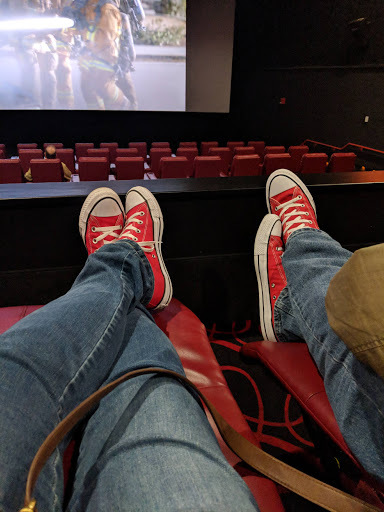 We enjoy hitting a flick, normally on Sunday mornings for more inexpensive tickets, especially now that you can choose your seats in advance, and at most theaters, they’re pretty comfortable. So, here’s a rundown of the films we’re looking forward to catching this summer! Avengers: Infinity War (4/26/2018) – Seriously? Seriously. Do you know how difficult it was to find a ticket for this on opening weekend, in a non-IMAX, non-3D theater? I’m really hoping it’s worth it, though! So far, it looks fantastic. 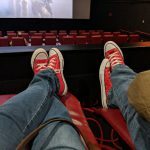 Deadpool 2 (5/18/2018) – I’m not a fan of the comics, and most of the cosplayers I see at conventions just irritate the living piss out of me. However, I’ll be damned if the first film wasn’t frakkin’ fun, and this looks to be even bigger. Solo: A Star Wars Story (5/25/2018) – The first trailer didn’t sell me, at all. Star Wars is supposed to have a large universe to play in, so why are they making films with the same characters? The next trailer, though, has me looking forward to this film, which is out just after my birthday! I have a good feeling about this. I’m still looking forward to more original stories, though. The Incredibles 2 (6/15/2018) – The Incredibles is one of the best Pixar films, bar none. To say I’m looking forward to this is putting it mildly. Besides, even if it’s not as good as the first, there’s no possible way it can be as bad as Cars 2, amiright? Jurassic World: Fallen Kingdom (6/22/2018) – I feel the need to have a non-Disney/non-Marvel property film on here. I will probably be solo on this one, but sometimes I like stupid movies with CG dinosaurs. Ant-Man and the Wasp (7/6/2018) – Recently, I was asked to give my rating of the MCU films, from 1-18. Ant-Man came in at #4. I’m also curious to see how this is tying in with the end of Civil War, and Infinity War, since I haven’t seen Ant-Man in any of the marketing for the latter. As always, if you’re curious as to what I’m watching, feel free to follow me over on Letterboxd (LINK), where I’ve been cataloging all the films I’ve been watching in 2018.